The reception desk is often the first thing someone sees when they walk into an office. Make sure yours leaves a positive impression by shopping Office Furniture Center for an attractive -- but affordable -- reception desk. 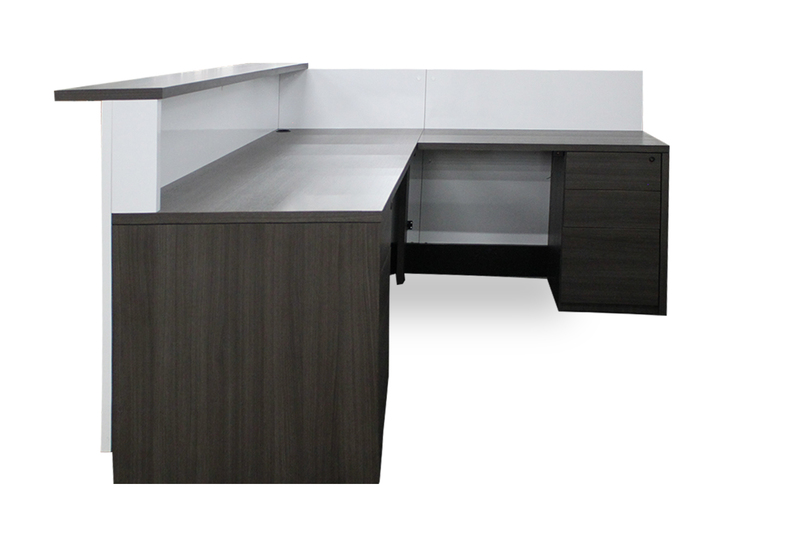 Our pre-owned desks come in various styles and finishes at price points to meet your budget. Shop now to find a reception desk that’s just your style! Shopping pre-owned furniture is a smart and affordable alternative to buying new, and with Office Furniture Center, you can expect value. We source our furniture from liquidated offices of Fortune 500 companies, adding top brand furniture in excellent condition into our inventory at reduced prices. You can shop confidently knowing all furniture is in great condition and will last for years to come. You can hop for a reception desk in store by visiting our 250,000-square-foot showroom and warehouse facility located at 4800 W. Roosevelt Road in Chicago (on the northwest corner of Roosevelt Road and Cicero Avenue). Our staff will be readily available to help you pick out pieces that are stylish and affordable. Want to chat? Call us at 844.630.DESK or send us a message.